Charlie is playful, childish, innocent music, spiced with blue notes and (deliberate) wrong notes, using dry-sounding or rock pianos without too much reverb. The style of the music is poetic, old-fashioned, reminding of mute cinema music. My music story is a journey into the unknown. Without any support, and often even contrary to my surroundings, I grew into this passion for the beauty of sound and rhythm. The drama of a gifted child was my drama. I had to fight for my art, and to stand my man for doing what I really liked, persistently refusing to do what others liked. It was a hard journey at times, and I got to learn about the cruelty of ordinary man. My recording story started in 1994 when I first began to record my inspirations. While I have had classical piano training, this it did not capture my passion for music; instead I began to improvise from early age. And it was with a technique I call ‘spontaneous composing’ that I eventually came out as a musician. I did not compose most of my music in the sense of using a composing technique for setting chords, harmonies and musical texture in each other. Instead I simply improvised; what for the jazz musician is the most natural way of making music can be applied to classical, new age and relaxation music as well. That it’s possible, my music shows it better than any other I ever found. 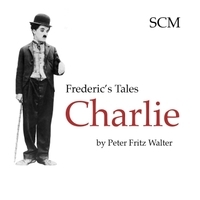 Charlie is an album that reminds the great actor and comic Charlie Chaplin, with whom I have not little in common. Like Chaplin have have Moon conjunct my Ascendent in my birth chart, and like Chaplin I went through an utterly abusive childhood. And again like Chaplin I was smart and handsome as a little boy and had my first success as a fashion model at the tender age of 4, yet after two sessions, a handsome salary and very much applause, my cruel, lifeless and narcissistic mother took me out, allegedly for preventing ‘perverse men’ to get hold of me. For the same reason she refused to give me to the Vienna Boys Choir when I was 9 years old, thus having destroyed two of my most promising early careers. Charlie is playful, childish, innocent music, spiced with blue notes and (deliberate) wrong notes, using dry-sounding or rock pianos without too much reverb. The style of the music is poetic, old-fashioned, reminding of ‘cinema music’ during the times of the mute cinema.